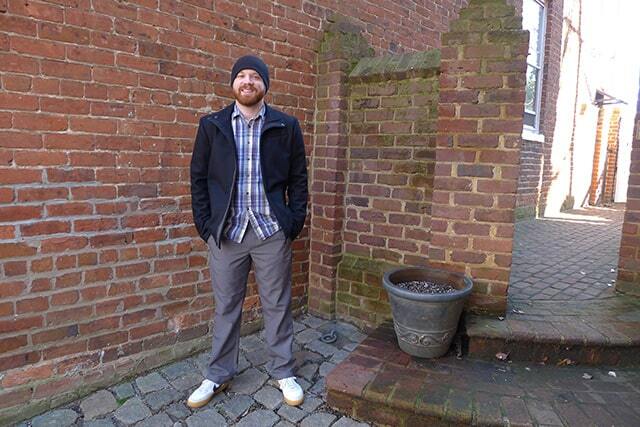 Bluff Works travel pants are great pants for traveling. They look great, are super low maintenance, and are wrinkle-free. Read our review to learn more. 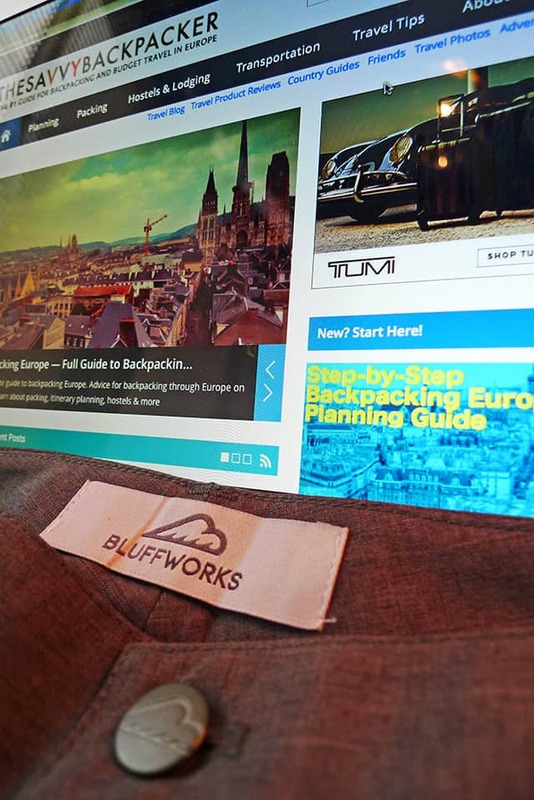 That’s why I got pretty excited when I came across these great new travel pants from BluffWorks. They have all the benefits of technical fabric, but they look fashionable enough for the streets of Paris or a nice restaurant. Finally. Ohh, and they’re made in the USA. They are lightweight. I’d guess they weigh about 1/3 of what jeans do. They’re also super breathable, which makes them great for summer (you don’t see many European men wearing shorts, so this is a good option if you want to “blend in”). The material is moisture wicking, so it will help you dry if you sweat. How these pants look after being wadded up in a ball for 48 hours. One of the most frustrating things about living out of a backpack is dealing with wrinkled clothes. 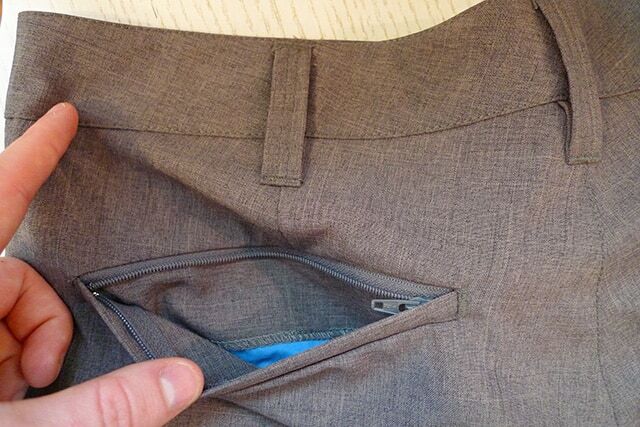 Luckily, BluffWorks travel pants are wrinkle-free! Ok, you can probably find a way to wrinkle these but they do a hell of a lot better than normal pants. 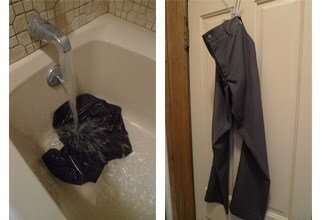 In the photo above I wadded up the pants and left them that way for about 48 hours. The photo on the right shows what they looked like after they’d been wadded up — I didn’t iron or try to make them look better. It is hard to beat that. And if that’s not enough, these pants can be worn for multiple days without needing to be washed, so you can focus on travel — not laundry. Zippered back pocket. The other back pocket is normal. Another cool feature is the two zippered pockets. 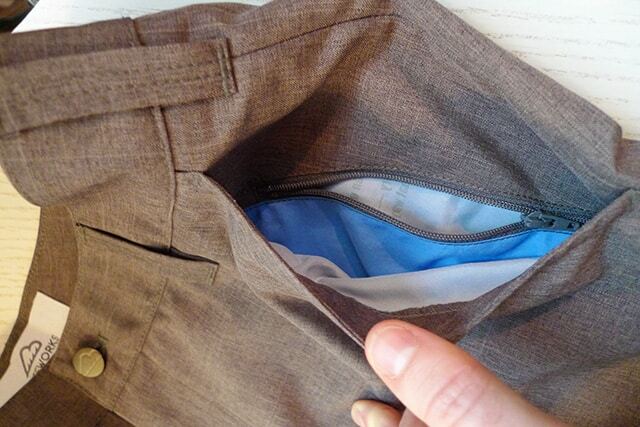 One of the pockets on the back is zippered and there is a hidden zippered pocket inside the left front pocket. This is great because it is an extra level of protection against pickpockets and it prevents losing something important from your pockets. 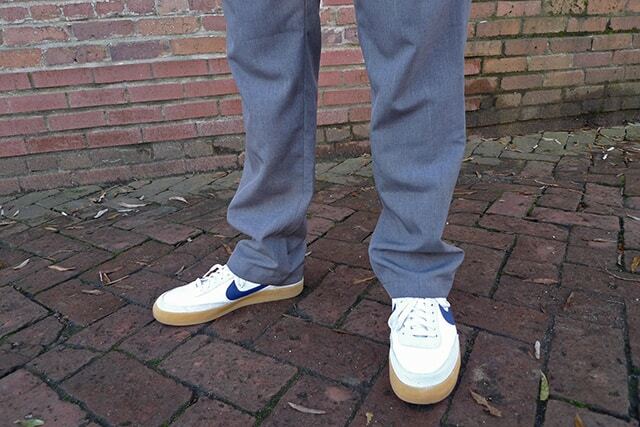 The pants have a slim leg but they have enough room so you can still move around easily. They come in multiple lengths, too — I probably could have gone with a shorter length (I should have read the sizing chart better). Bluff Works pants are low maintenance. They can be hand or machine washed. You can also throw them in the dryer (on low) or air dry them. To test how fast they’ll air dry I put my pair in the bathtub, patted them down with a towel, and hung them up in my bathroom to dry. They were completely dry in about 5.5 hours. For reference, a pair of jeans would take around 24 hours to air dry. 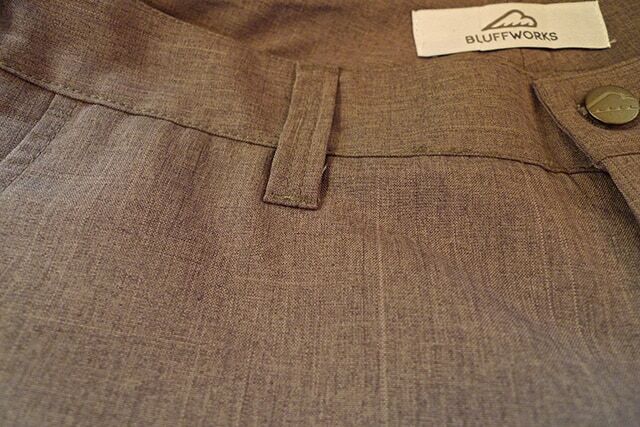 Bluff Works has four different colors — Charcoal, Classic Gray, Velvet Brown, and Light Khaki. I’m wearing the classic gray. Bluff Works got their big break after launching a successful Kickstarter campaign — they raised almost $130,000 (their goal was $13,500). They are currently on their second version of the pants (they’ve been improved from the Kickstarter version). 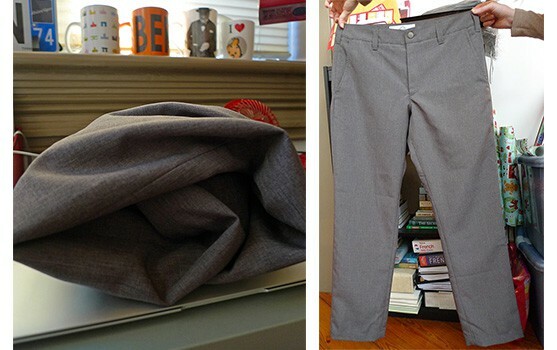 These pants are great, and I can’t wait to do some serious traveling with them. I can’t think of a better pair of pants for traveling Europe because they’re super stylish and functional. I can see myself wearing these all day while sightseeing and then wearing them to a bar, restaurant, or club. I hope they offer more colors in the future! 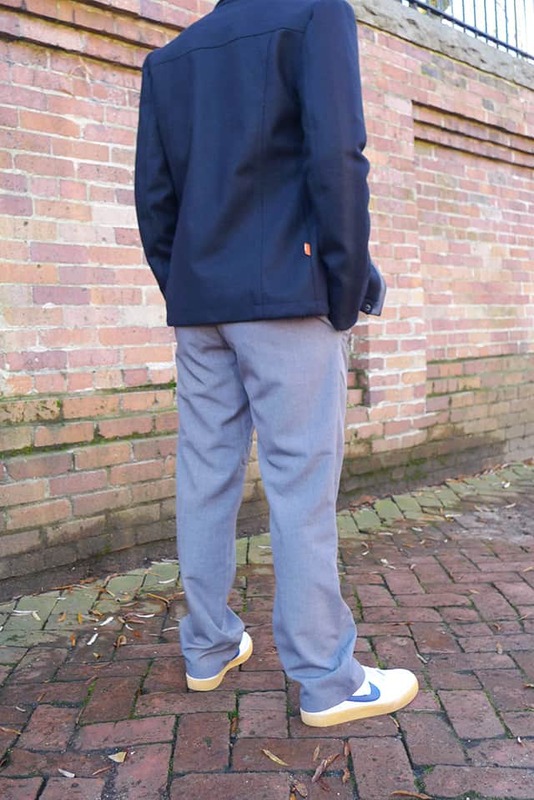 BluffWorks has recently released a more tailored version of their travel pants called the BluffWorks Chino ($125). I own a pair and they’re great. 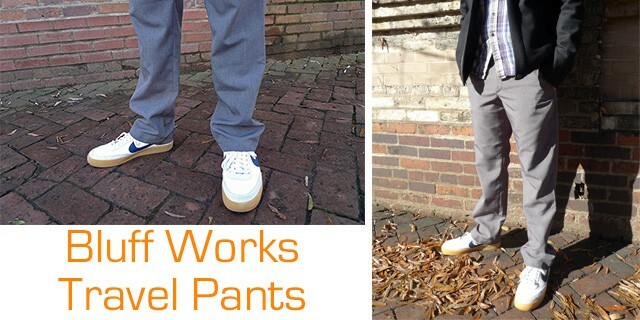 I wanted to thank Bluff Works for sending me this pair of pants for me to review. I also wanted to point out that I contacted them first because I had to try them out for myself. All opinions are mine.